Did any of you notice the solar eclipse in the US last week? Here at Central Florida Photo Ops HQ we certainly did! 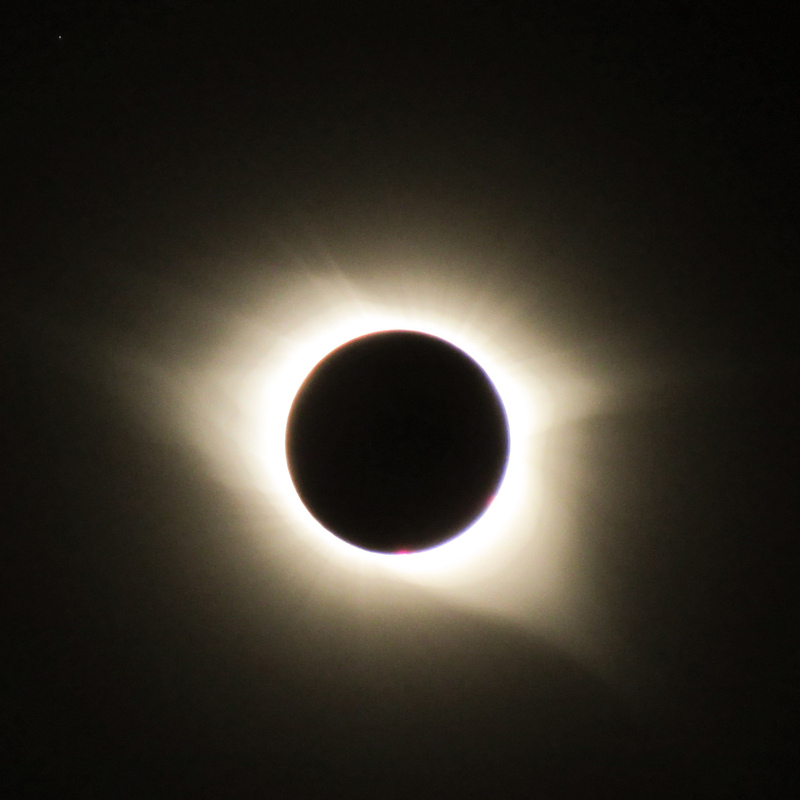 And even though the full moon covered “only” ~85% of the sun, it was still an awe-inspiring show. Eclipse 2017 – thanks to the trees. ©Kevin McKinney, 2017, all rights reserved. Used with permission. The Sun’s atmosphere is 300 times hotter than the surface. 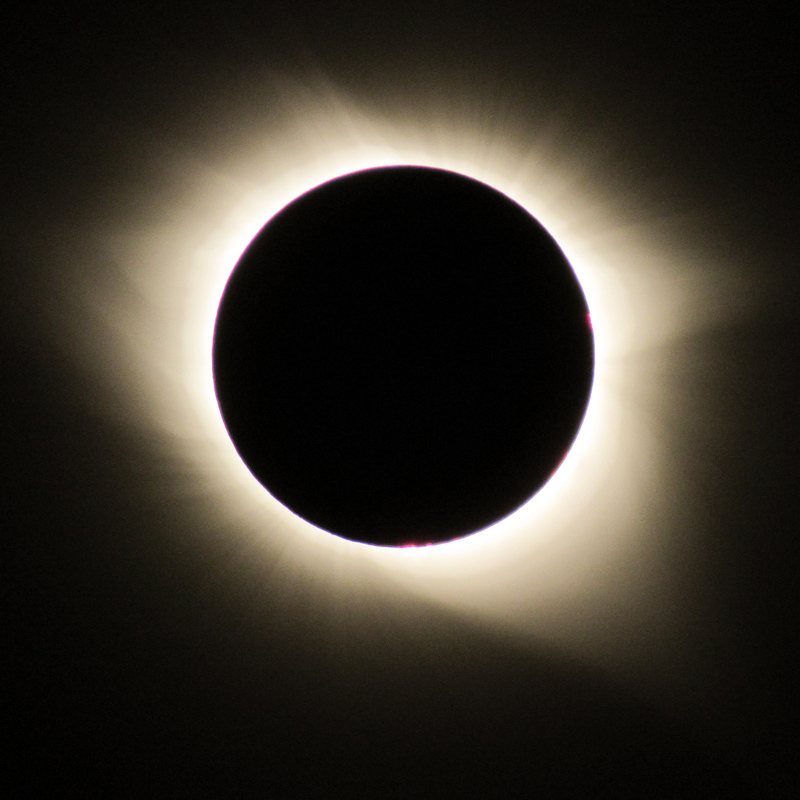 A total eclipse is one of the best ways to study the corona. ©Howard Thomas, 2017, all rights reserved. Used with permission. 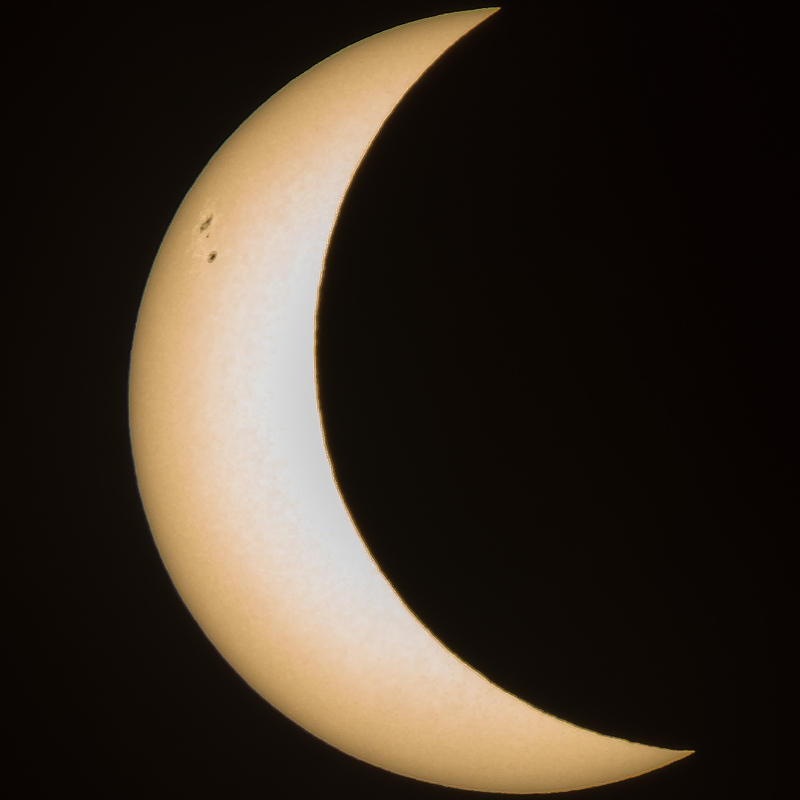 Total eclipse and the star Regulus (upper left corner – click to see larger). ©Howard Thomas, 2017, all rights reserved. Used with permission. 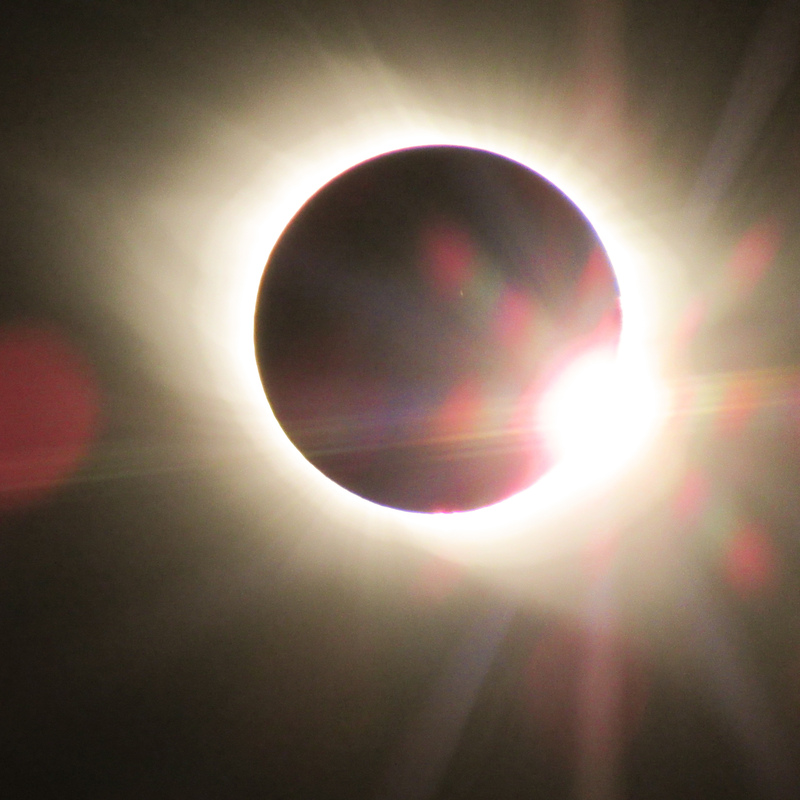 Baily’s beads, or the Diamond ring effect, is visible during a total solar eclipse. The rough terrain on the edge of the moon allow beads of sunlight to shine through in some places. ©Howard Thomas, 2017, all rights reserved. Used with permission. Eclipses are fun to think about. They’re such a huge coincidence! The Moon is 400 times smaller than the Sun, and the Sun is 400 times farther way. So they’re the same apparent size in the sky – that can’t be very common in the universe. We don’t see one very often because the Moon’s orbit tilts with respect to Earth’s orbit around the sun. And since the moon is slowly moving away from the earth, the geometry will be ruined after another billion years. You can click on any of these photos to look at larger versions. I hope you were able to see this stunning event and get some photos of your own. If not, the next one in the US is in 2024. Thanks for stopping by and reading my blog. Now – go be amazed by rare natural phenomenon. And make some photos!